This past August I was able to finally connect, in person, with Jimmy Casas. We had connected via Twitter, but I had missed a few opportunities to meet him. Not only did I meet him, but we spent a few hours at a DQ along with Travis Lape (@travislape). Actually, they had to kick us out because they were trying to close for the night. We discussed technology, connecting with passionate educators and school topics, of course. When I asked if it is hard for his school to have him gone on speaking engagements, he kept using this phrase – “Build Capacity”. I could hear his words, but my mind was struggling with the practical look of the phrase. Our school district had an unfortunate event of a school shooting last week. Locally, the news covered it extensively. Nationally, it received some press, but not headline news. In my opinion I believe that was because the shooter failed to take lives. I won’t spend time discussing the events of Wednesday. You can check the local news agencies if you want to learn more (www.keloland.com, http://www.ksfy.com, http://www.kdlt.com). During this crisis I was at a conference. As the details came to me about the events at our high school, I knew our middle school would be involved in connecting parents and students. We prepare for crisis events, but can never prepare for all things. When the day was complete and after communicating with my staff, they completed the tasks marvelously. Then, the epiphany: staff had capacity built to deal with this crisis. Now the discussion with Jimmy was very clear. Whether an administrator or teacher, our work has to function and operate without us at times. Many will argue it should most of the time. What are a few keys to this? Organization and communication of objectives. Procedures need to be practiced…repeatedly. My thoughts now extend to individual teachers and their work in classrooms. Could your classroom produce results without you? I think several discussions emerge from this thought, but a good starting point is teacher vs. student ownership in the learning process. How much instructional control do you exhibit in your realm? Do students sit and listen or do they lead the direction of instruction? I do believe there are times when teachers need to provide direct instruction, but too often we fail to release the reigns of the classroom. Whether you have a period, block or modular schedule, we need to initiate the student ownership within our discussion, activities and/or questioning. How do you build capacity in your classroom and instruction or your building? Let Go: If you have problems releasing control, building capacity will be difficult. Administratively, you need to trust capable people to lead processes and initiatives. In the classroom you have to assess the level of student ownership. One way to do this is to view the amount students control the discussions and questions. Be flexible: Kids have good ideas, too. Use them as a resource. Build on student interest and discussion: The heart of every lesson includes student interest and learning. When moments of discussion and inquiry emerge, we need to facilitate, not drive, the process. In our building we have an emphasis of allowing risks. This has allowed us to take their interests and find ways to incorporate them into the curriculum. 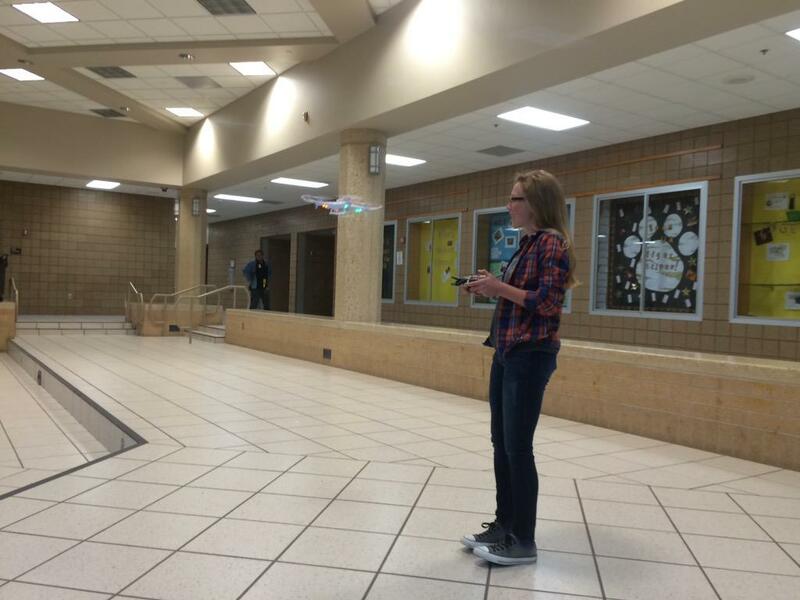 One example includes drones Students love to explore, create and tinker. They love drones, but we want them to see the connection to learning, not just fly them down the hallway. Currently we are working with a school in Bergen, Norway to have our math classes use them with content. 4. Student Voice and Choice: How often do you allow students to provide a voice in your school or classroom? 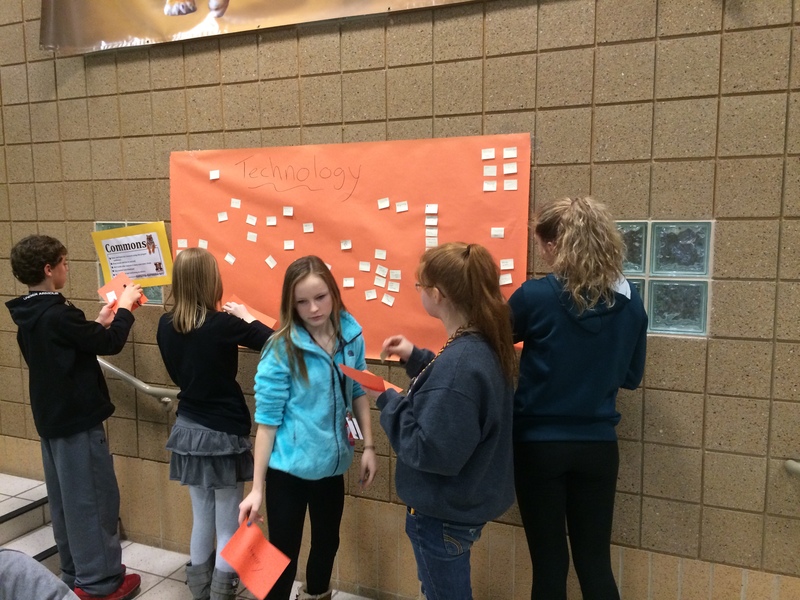 In our building students have voice in school climate, technology and initiatives. Our classrooms have made it possible for students to choose a direction in their instruction, whether by providing options for completion or allowing them to generate ideas to display mastery. Keep asking these questions: Can you leave your classroom with someone else and it functions w/out you there? How often do I trust the people around me to be experts and learn together? This entry was posted in Uncategorized on October 8, 2015 by darrenellwein.